In the salons of Algotherm masters perform various types of massages (from 55 Euro), mud applications, cosmetic procedures for the face and body by using cosmetics based on sea minerals (from 50 to 120 Euros), thalassotherapy (46-67 Euros). The cost of complex programs starts from 290 Euros. This medieval city in the north of Brittany province has rich cultural traditions and preserves ancient examples of architecture. 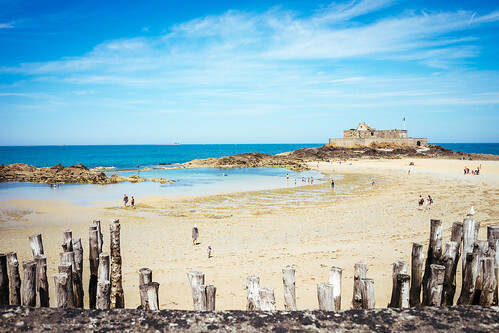 People come to Saint-Malo all year round – the resort is known not only for its beaches, but also for the large thalasso center called Thermes Marinsde Saint-Malo. The resort was built in 1963 on the very seashore, and at the very top of it there is a restaurant with a panoramic view of the water surface. Elegant furnishings, subdued light, pleasant music and sensual aromas – in such an atmosphere vacationers enjoy wellness treatments. The center has developed both weekend programs and weekly courses. In addition, you can also sign up for individual events. The rich SPA menu of the thalasso center includes massages by using Eastern techniques, detox procedures, body wraps, underwater showers and drainage. The cost of individual procedures in Saint-Malo starts from 30 Euros, weekly programs are available at 800 Euros. 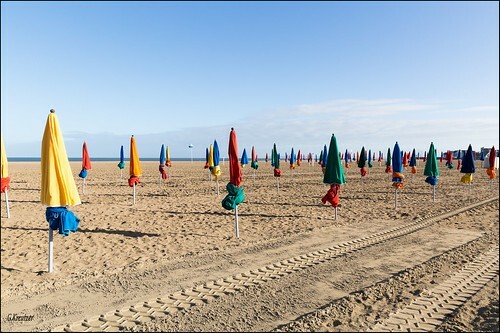 This resort town in the south of Brittany region occupies a narrow 14 kilometers-long peninsula. On the basis of the luxurious 5-star Sofitel Hotel in Quiberon, the center of thalassotherapy and the center of nutrition have been working for more than 50 years. Health recovery in Quiberon implies a comprehensive approach and attention to the individuality of each patient. For clients of the dietology center, a special diet and training programs are developed. Sofitel Quiberon Thalassa weight-loss programs are considered to be the best in France. Thalasso center offers its visitors peels, massages, hydrotherapy and aesthetic procedures – it uses cosmetics based on active natural ingredients. Between sessions, clients of the center can spend time in the spacious lounge area overlooking the coast: they can relax on the sun terrace, swim in the saltwater pool or visit the sauna. A weekly intensive complex of procedures of a different profile in this center will cost from 2,000 Euros. Vichy is a resort in central France situated in the heart of the Bourbon Mountains. It’s famous for its mineral springs, and popular Vichy cosmetics are also made on the basis of local natural sodium bicarbonate waters. Vichy is an ideal place for recreational relaxation in the depths of the French forests. Modern balneological treatment is performed in Vishy Celestins Institute. The spa center has a gym, dry and wet saunas, swimming pools, a Jacuzzi, and beauty salons. Treatment concerns three medical fields: metabolic disorders, physiotherapy and diseases of the gastrointestinal tract. Spa treatments include mineral water baths and showers, thermal mud applications, various manual techniques, intestinal lavage and drinking cures. In the wellness center, you can sign up as a separate procedure (from 50 Euros) or undergo treatment according to a specialized program (from 1000 Euros). 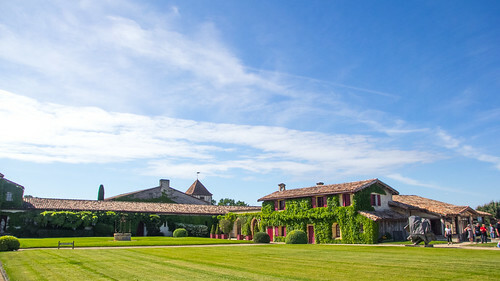 Another world-famous resort is located in the north of Aquitaine, where unique anti-aging procedures with the use of the healing properties of grapes (wine therapy) are provided. 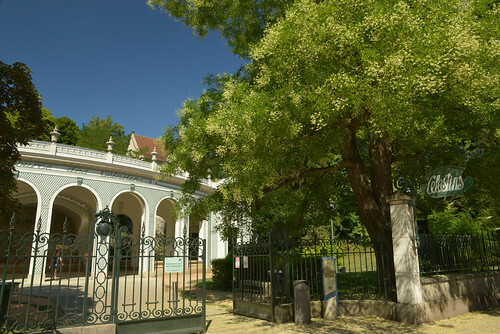 The medical center is located near the mineral spring surrounded by the vineyards of Bordeaux. The healing properties of water and grapes enriched with minerals are combined in local cosmetic preparations. During the procedures, products containing grape polyphenols are used: these substances strengthen the walls of blood vessels and increase microcirculation. Antioxidants contained in grapes, contribute to the revival of natural beauty and give energy to the whole body. Grape seed oil is rich in omega-6 fatty acids and vitamin E, which help to nourish and regenerate cells. Each procedure for face and body costs 65-200 Euros. The complex programs are also available at 380 Euros. Is Religion Still Present In Your Life? Want to Stay in Shape While Traveling? Learn HOW!